Allium has been recommended to us numerous times over the past year, so we didn't pass up the opportunity to have a ladies night out during the holidays. We were not disappointed from the moment we walked in until the moment we left. The atmosphere was cozy and inviting, the service was friendly and unpretentious and the food was unique, flavourful and absolutely divine. Their menu changes monthly, but their selections are local and Canadian, and include fish, meat, and vegetarian options to suit all taste buds. If you are feeling slightly more adventurous, the blind appetizer and main course options may suit your fancy. They don't allow any substitutions, so make sure you're open for the chef's creations. 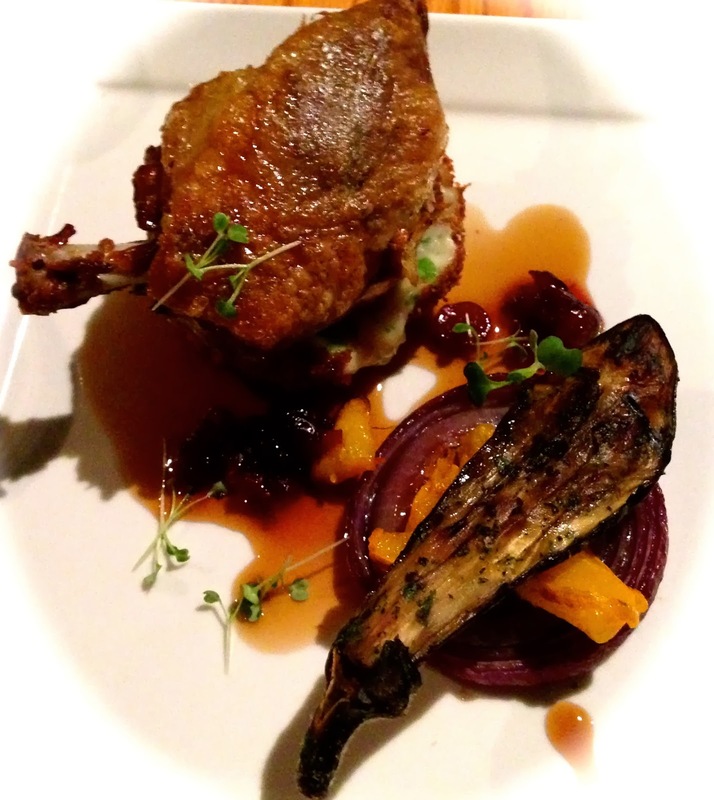 The food is not the only attraction at Allium. Their cocktail menu is fresh and unique and they have an extensive wine list that does not disappoint. Whether you are a wine connoisseur or just beginning your love of wine, the sommelier Alison has all the knowledge and passion to pair your wine or cocktail to your desired meal. We both went with the Chipotle Caesar to start, which was the perfect combination of spice and deliciousnes. 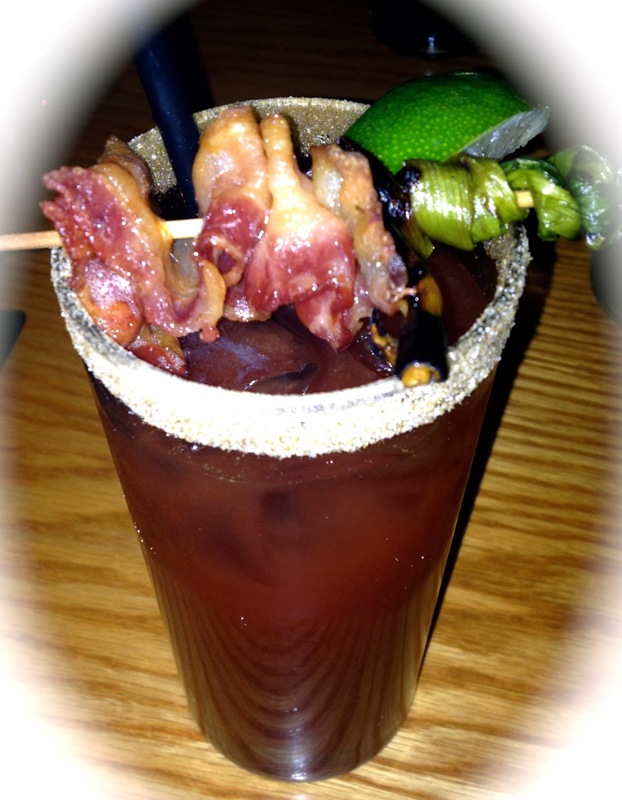 It consisted of Stolichnaya, chipotle Clamato, Tabasco, Worchester, grilled bacon and scallion. This spicy drink retailed at $9. For our starters, one of our dining guests went with the blind appetizer ($15), which was three beautifully presented Fried Shrimp on a bed of sauces, topped with Pickled Onions. 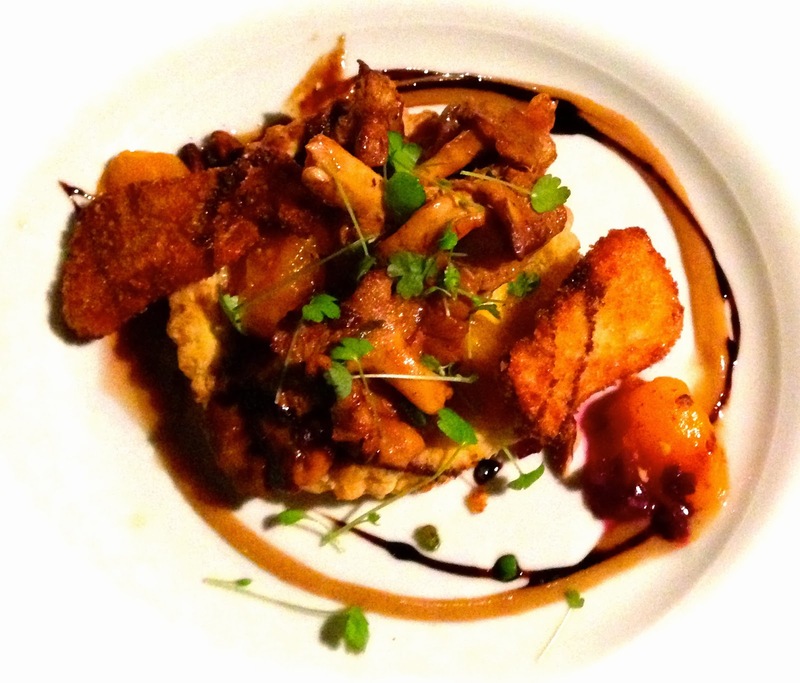 Another dining guest chose the Fresh Goat Cheese Tart ($15), a heavenly creation of Truffled Pastry, Pickled Beets, Sautéed Chantrelles, Panko Crusted Eryngiis, Balsamic Vinegar, Tomatoes, Caramelized Pear-Raisin Puree and Roasted Pecans. The tart was rich, but absolutely mouth-watering. Lola went with a classic appetizer, precisely the local cheese board, served with condiments and sauces for $15, while Riley chose the soup of the day, which was a creamy Sweet Potato Chowder with Cilantro Relish and a dollop of Goat Cheese for $12. 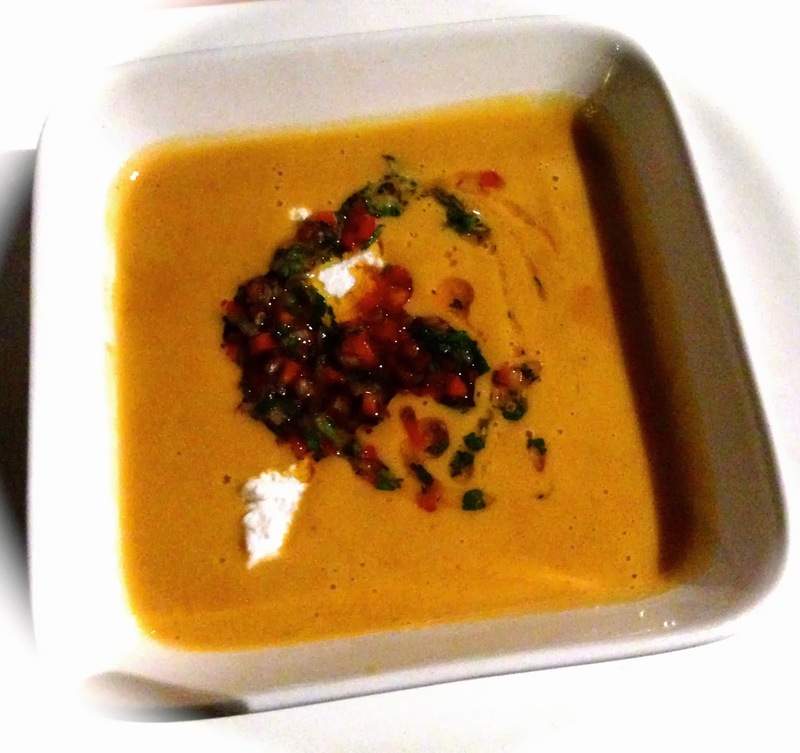 Although simple, the soup was the favourite app of the group. Next, for the main course, two of our dining guests chose the blind option, while we chose to stick to the safer, yet still delicious choices from the menu. The blind option that night was a Duck Leg with Fresh Roasted Vegetables, for $30. The feedback was overwhelmingly positive. 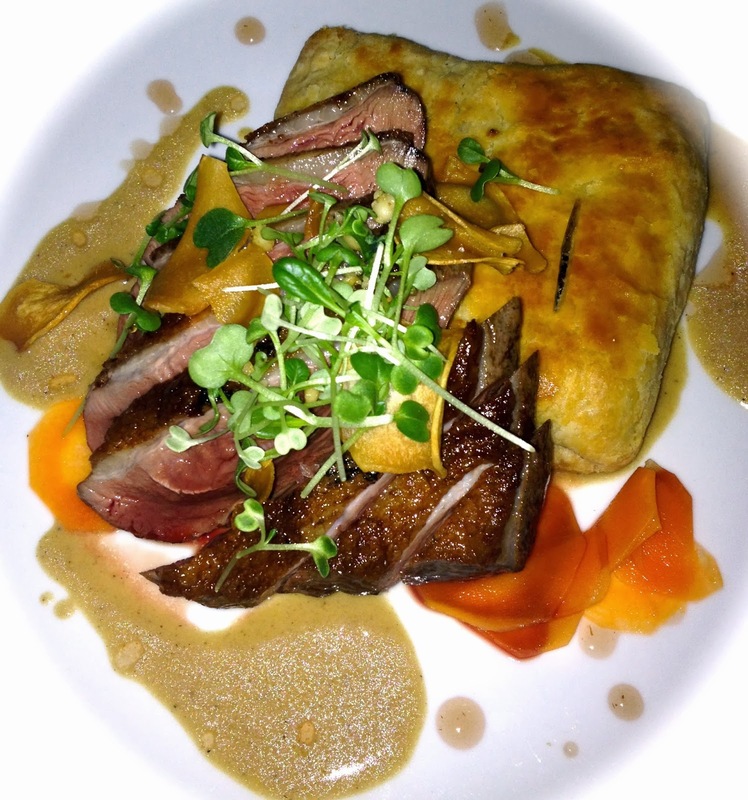 Lola also ended up choosing duck, but she went with the Roasted Duck Breast from the menu, which was served with Cranberry Honey, King Trumpet Chips, Port, Mushroom & Ricotta Pastry, Kale, Pickled Carrots, Roasted Pine Nuts and Foie Gras Cream for $31. 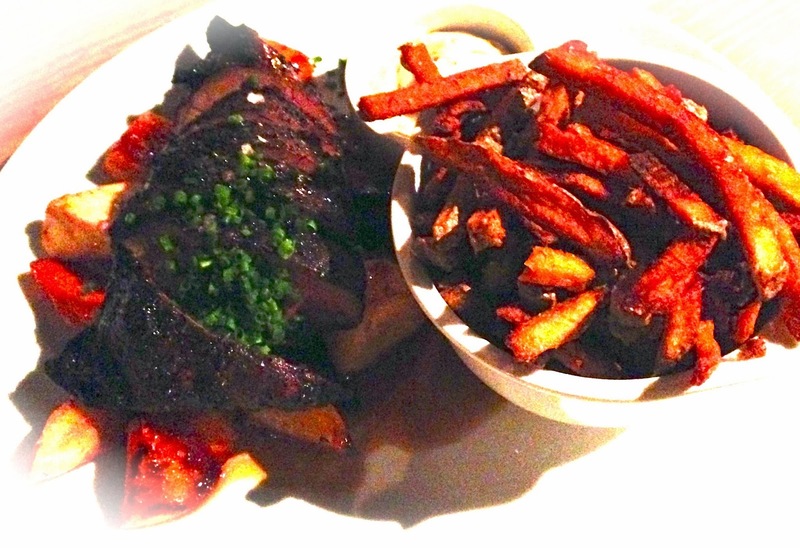 Finally, Riley went with the Flat Iron Steak with Smoked Jalapeno & Garlic Marinade, Roasted Winter Vegetables, Chives, Chili-Dijon Aioli, Sea Salt, Red Wine Jus and Pomme Frites for $25. Both Lola and Riley were thrilled with their meals, and ate every last bite. The duck and the steak were both cooked to perfection and melted in your mouth. Overall, we had a great experience and we highly recommend this restaurant to other food connoisseurs. Just be sure to wear your big pants that night! For those who have room, Allium also has a fantastic dessert menu, with options ranging from Banoffee Pie to Butterscotch Pudding for $9, as well as various ice cream flavours for $3. Verdict: Unique flavours, trendy atmosphere and sure to rock your taste buds!